PC Medics On Call > Blog > The Street > Facebook and Google+: Do the Names Amy Porterfield and Mari Smith mean Anything to You? 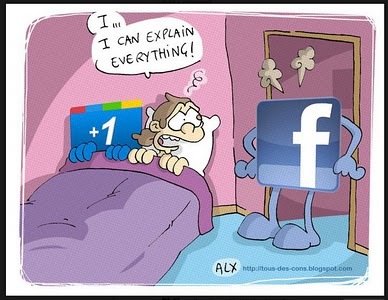 Facebook and Google+: Do the Names Amy Porterfield and Mari Smith mean Anything to You? In the past, many people have continued to ask, where is the PC Medics On Call Facebook page and where is your presence on Google+ and Twitter? The short answer to that question and a rather embarrassing one at that is..we don’t have one and I am not a big fan of social media! I know, I know, it’s kinda lame isn’t it? Considering that Facebook, Twitter and Google+ are like the biggest things to happen since the electric toaster, I cant believe that I have allowed myself to be ridiculed for all of these years by my pears for having such an opposition to doing the whole social media thing in general. – Really…what was I thinking? Well.. on July 4th I made an official announcement stating that all of this lunacy is about to change and that today is a new day and that, we would reconcile with the social media gods and that here at PC Medics On Call we were committed to making a positive change and creating a powerful presence on all of the social media platforms and we even brought on our own in house Marketing and Public Relations expert Marshall Thomson to prove it! The truth of the matter is that while it’s great that Marshall is with us now, the biggest caveat in this situation seems to be me. -So, I decided that I needed to get serious about this and employ the help from two of the biggest names in the social media world to help change my perception and mindset on the whole social media landscape and correct the biggest problem of all…my lack of active involvement in it. Bringing Out The Big Guns and Serving Up Awesomeness… PC Medics On Call Style! In my last announcement on July 4th, I said that we would have our Facebook and Google Plus pages in place and fully functional by the end of this week but apparently, I was wrong so, I am truly very sorry for that. Unfortunately, it just hasn’t seemed to work out that way due to the amount of preparation and code that needs to be implemented on the site in order for us to fully reap the benefits of the search engine gods like Google, Bing and Yahoo. We may be later than expected getting everything off the ground and fully functional but, anyone that knows me can attest to the fact that, when I do things I do them the correct way the first time and I focus in primarily on quality and not quantity and I do get the desired results that I am after as a direct result from the level of attention to detail that I put into everything that I do. – Besides, who wants to settle for average when they can have extraordinary? Well, as my mom always said ..anything worth doing is worth doing correctly the first time! – That’s right, not only do we have a lot of amazing things in store for all of you but, we think so much of all of our customers that we decide to study under the direct tutelage of world renowned social media marketing experts Mari Smith and Amy Porterfield so that we could exceed all of our customers expectations and create a really cool and fun experience for everyone. Not only are these two women regarded as the top in class of the who’s who in the Social Media world but, they are also two of the most beautiful and charming women that you could ever possibly have the pleasure of meeting and speaking with let alone having the privilege of studying under them directly. Mari Smith is one of the world’s leading social media strategists and widely recognized as THE top Facebook marketing expert in the world. She is author of The New Relationship Marketing and coauthor of Facebook Marketing: An Hour A Day. 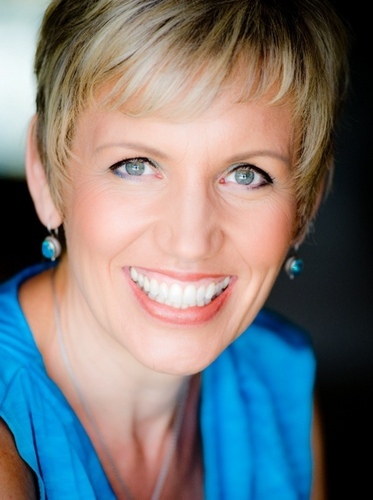 Mari Smith’s background includes over twelve years in the fields of relationships, marketing and Internet technology, making social media her ideal arena. As a veteran in the genre, she travels the United States and internationally to provide engaging social media keynotes and in-depth training to entrepreneurs and corporations. 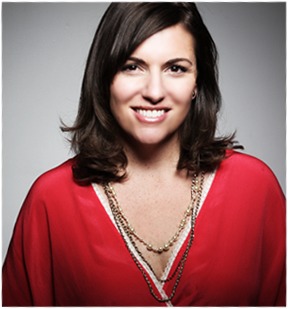 Amy Porterfield is the co-author of Facebook Marketing All-In-One for Dummies and a Social Media Trainer. She creates educational programs for small businesses and entrepreneurs to help them get more traffic, leads and sales with social media marketing. Her first job out of college was the head of marketing products and events—for Harley Davidson during their 100 year anniversary. Amy’s been in the marketing arena for over 12 years and spent 6+ years working along side Peak Performance Coach, Anthony Robbins, where she managed his content marketing team and major online marketing campaigns. Amy’s most recent online program, FBinfluence, teaches businesses and entrepreneurs how to grow a lucrative fan base, increase engagement and turn fans into buyers. We Promised You Something Great and We Fully Intend on Delivering the Goods! As you all can see we have some pretty exciting stuff headed your way once we get everything in place, finalized and ready to rock and roll. We know that you’re going to love it once PC Medics On Call debuts on Facebook, Twitter and Google Plus. – We guarantee it! Be sure to follow along with our progress because we should have our Facebook and Google+ pages completed and fully rolled out by the middle of this week to weeks end and. As a way of celebrating our Social Media debut, we will be kicking the event off by having some really cool contests for you to enter and we will be giving away some really great prizes to the winners. From all of us at PC Medics On Call, we would just like to take the time to extend a big thanks out to everyone for being so patient and having faith in us just knowing that something really awesome is on the way.